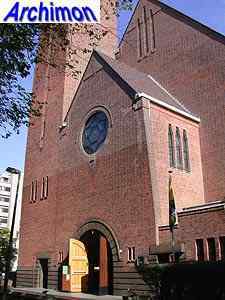 Although in the Middle Ages Scheveningen had had a catholic parish, during the Reformation a majority of the population had become protestant. 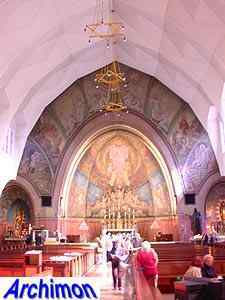 At the beginning of the 19th century, when the ban on catholicism had been lifted, catholics formed about 7% of the population of the village, about 300 people. 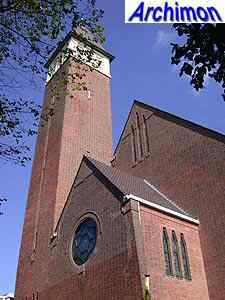 A first temporary church was built in 1830, which in 1833 and 1834 could be replaced by a small church in neo-Classical style. 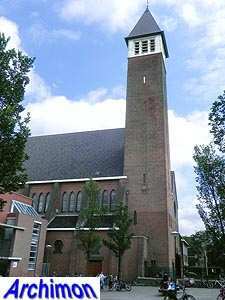 The fast growth of Scheveningen's population soon made the church too small. 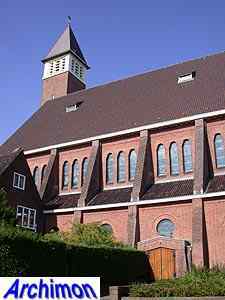 Already in 18576-1857 a new church was built elsewhere in the village, this time a single-aisled building in an early neo-Gothic style. 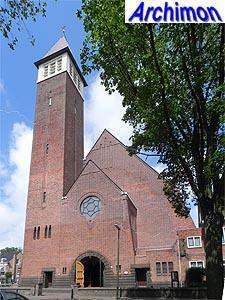 This building too fell victim to the growth of the parish. 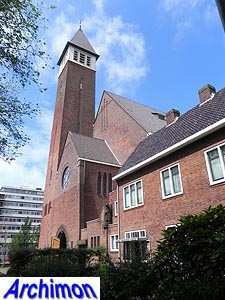 In 1882 architect E.J. 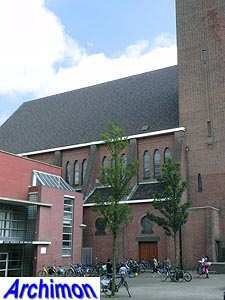 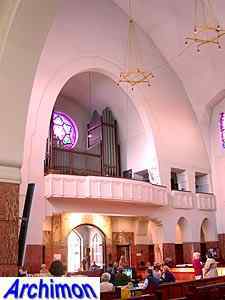 Margry added a three-aisled extension with a new choir to the church, resulting in a hybrid combination of early neo-Gothicism and neo-Gothicism. 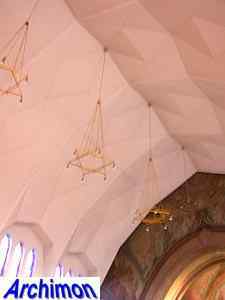 In 1925 it became clear that this was a temporary solution too, and in that year Jos. 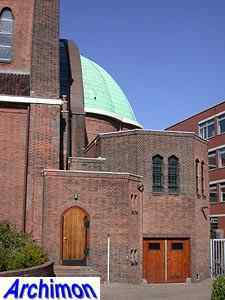 and Pierre Cuypers' design for a new church was accepted. 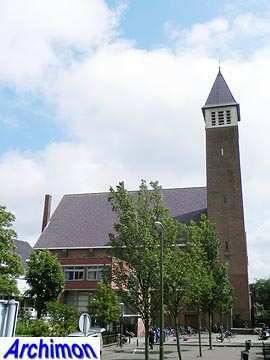 Work began in 1926 and was completed the next year. 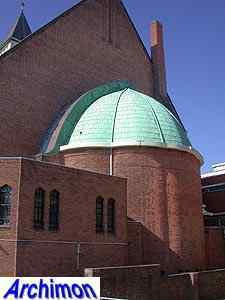 It's a church in an Expressionistic style which is a bit more moderate compared to several churches the two architects had built together in the previous years. 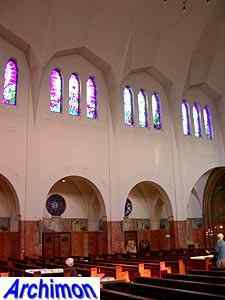 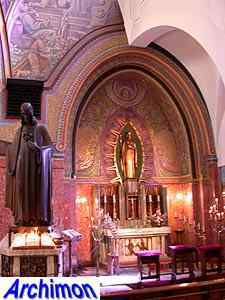 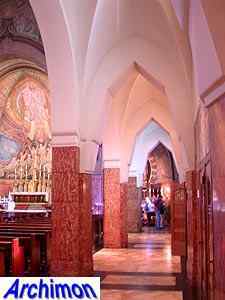 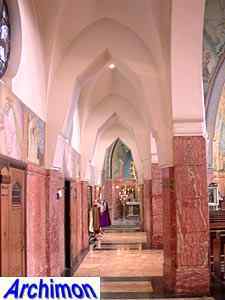 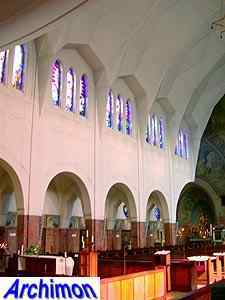 The church has a wide central aisle that allows everyone a good view on the altar and narrow side-aisles that are used for walking. 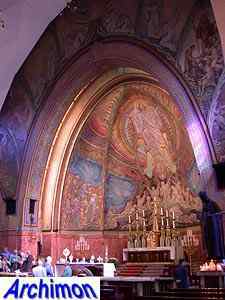 The apse of the choir is decorated by a mosaic by A. Molkenboer.